Chase Bank : More Chase Bank branches to be closed and staff retrenched. #Tujiamini - Bana Kenya News, Real African Network Tubanane. The Chase Bank has reached a conclusion that some of its branches will need to be closed with an immediate effect. The bank which is under Kenya Commercial Bank will be forced to an audit State Bank of Mauritius as they want to take it from KCB. The is anxiety among Chase Bank staff ahead of an audit by the State Bank of Mauritius, which is set to take over some employees and branches. The Central Bank of Kenya said on Monday it had received the initial offer from State Bank of Mauritius (SBM), setting the stage for due diligence expected to now commence. “The non-binding offer includes the acquisition of certain assets and matched liabilities from Chase Bank Ltd in receivership,” the CBK notice to the public read. SBM is expected to assess the performance of Chase Bank’s 62 branches and Rafiki Microfinance for productivity, profitability and overhead costs. It is also expected to shut some branches and shed staff. 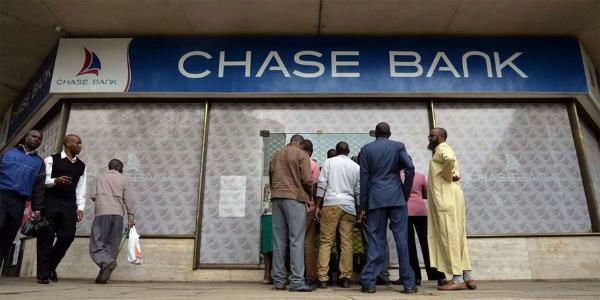 Sources said Chase Bank employees expect that they may be required to apply afresh for jobs. Employees will also be keen on salary structures as well as terminal benefits under a new owner. A source at SBM, formerly Fidelity Bank, said the Mauritius lender did not review workers’ salaries and benefits when they acquired it for Sh100B in May this year. Once the audit is complete, SBM is expected to table a concrete and binding offer at the end of the month. And CBK expects the acquisition of Chase Bank’s prime assets to be completed by December 31. More staffs will be retrenched when the process starts this month. More troubles still looms the chase bank company as new and fresh interim board will be installed to oversee the bank undertakings before it becomes fully fledged again.